Old style politicians tend to prefer direct funding programs because they can trumpet their successes – in other words they provide photo opportunities. Since direct funding programs generally involve a selection process, that also provides opportunities for politicians to sell their influence. That simply isn’t true for the SR&ED program, since tax information is confidential – and taxpayers have a right in law to funding if the meet the eligibility requirements. In the current review of the effectiveness of different approaches to encouraging innovation, some key voices are speaking out against SR&ED and other so-called indirect programs. This began a number of years ago with the Jenkins Report and other conservative voices in academia and the business press. Too many of these pundits confused Adam Smith’s “invisible hand” with “the hand of God”. So how well does equity crowdfunding work? On April 5, 2012 President Barrack Obama of the United States signed the JOBS Act into law with a remarkable level of bipartisan support. The intent was to update the U.S. Federal Security laws and make it legal for entrepreneurs to use crowdfunding to raise a limited amount of early-stage equity-based financing. Congress gave the Security Exchange Commission 270 days to draft the rules necessary to implement the legislation. A quick review of the National Crowdfunding Association of Canada’s directory (see above) reveals just how much this resembles the wild west. Many of the BC portals have abandoned their websites, some portals have no listings – and the busiest I found showed a single active listing, along with many “future listings”. The upfront compliance and regulatory costs associated with equity crowdfunding are very high. 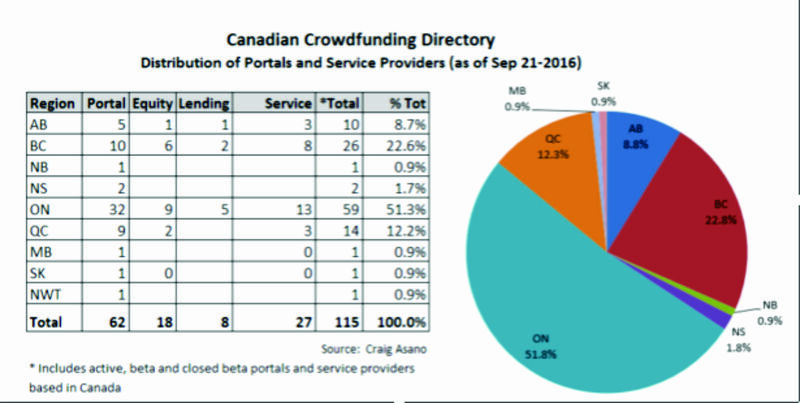 Admittedly it costs less than going public, however existing equity crowdfunding portals don’t appear to have much, if any traction. As a result those upfront costs will almost certainly be stranded. In BC where I practice, small business (50 or fewer employees) accounts for 55% of private sector employment (Source: BC Stats – Small Business Profile 2016). If politicians want photo opportunities and political donations, it makes sense to focus on direct funding approaches. If they want the economy to work, they should support and enhance the SR&ED program.